Tesla is working on a brand new battery product that’s designed to supply power not to an automobile, but your home. The home battery is based on the company’s lithium-ion battery technology and could go on sale by the end of the year. During a recent earnings call, Tesla CEO Elon Musk said his company plans to unveil a consumer battery for use in people’s homes or businesses. The design is said to be complete and Musk is really happy with the results. Production is expected to begin within the next six months, Musk concluded. As The Verge notes, the idea isn’t entirely original although such a device could have multiple, practical uses. The Toyota Mirai, for example, uses hydrogen fuel cell technology that owners can tap into to power their homes. Toyota says a Mirai can power the typical Japanese home for a week and a frugally managed American home for up to five days. But why would you want to use your car to power your home? To cut down (or potentially eliminate) your electric bill. 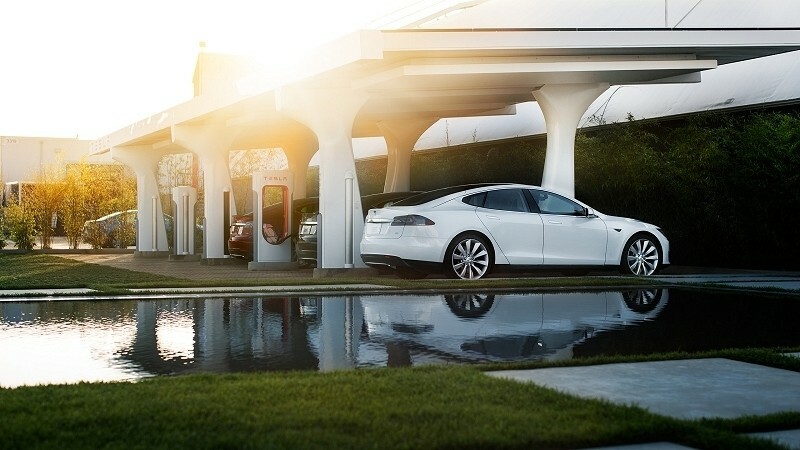 The great thing about Tesla’s Supercharger recharging stations is that they’re free to use. Assuming customers could somehow take their batteries to these stations and recharge them alongside their cars, one could put a serious dent in their monthly electric bill. Such a device could also serve as a giant UPS for your home in the event of power loss during a storm or a city-wide brownout.